The saga of The Batman continues and it's as interesting as ever. It's still completely unclear as to whether or not Ben Affleck will actually suit up as the Caped Crusader once more under the direction of Matt Reeves. It's looking more and more likely that we're going to see a different, younger actor dawning the cape and cowl. However, that doesn't mean Batfleck is totally out of the picture. According to a new production listing, Affleck will still be on board the project as a producer. 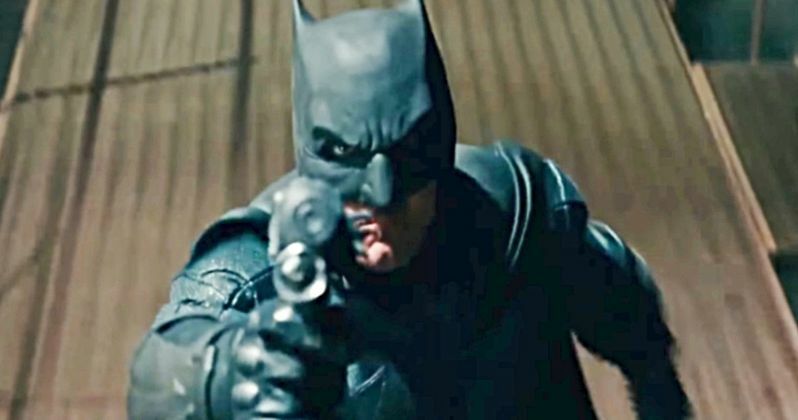 Ben Affleck is only listed as a producer on The Batman in the latest update from Production Weekly, but they also reaffirm some previous comments made by Matt Reeves, confirming that production is currently scheduled to get underway this spring. Considering that Affleck was at one point on board as writer, producer, director and star of The Batman, it actually makes a pretty decent deal of sense that he would at least retain a producer credit. To what degree he's actually going to be involved? That remains to be seen. Producers have wide-ranging responsibilities and a credit doesn't always mean they have a heavy hand in what goes into the final product. Whoever ends up actually playing the titular hero, it seems as though this movie is finally coming together. Matt Reeves was hired more than a year ago after Ben Affleck stepped down as director. He's been working on the script ever since, but official updates have been few and far between. That's mostly left it up to speculation and the rumor mill. Luckily, Reeves recently provided an official update and revealed that the script will be turned in within a couple of weeks. Matt Reeves also dispelled the rumor that the movie would be based on Frank Miller's Year One graphic novel. Reeves says the movie won't be based on any one comic and that it will be a noir story focusing on Batman as the world's greatest detective. Reeves kind of danced around whether or not this movie will ultimately connect to the larger on-screen DC universe, or if this will sort of stand on its own like the upcoming Joaquin Phoenix Joker movie. Ultimately, it could mean that Batfleck is the version that exists alongside Aquaman, Wonder Woman and The Flash, with Reeves' Batman existing in his own universe. The Batman doesn't have a release date just yet. Warner Bros. is nearing production on several projects, such as Birds of Prey, The Flash, Joker and possibly Suicide Squad 2. They aren't, however, announcing a bunch of released dates and rushing production to meet those released dates. In the wake of Justice League's disappointment, they are handling things differently and, when it comes to The Batman, they absolutely aren't going to risk doing this the wrong way. Production Weekly was the first to drop this news.